In an exclusive interview, Bishop Dr. William J. Barber II, currently president of Repairers of the Breach, a nonpartisan, nonprofit social advocacy group, has confirmed that he and a delegation of “moral, workers rights, anti-poverty and ecological justice advocates…” will be meeting with Pope Francis at the Vatican on Thanksgiving Day. 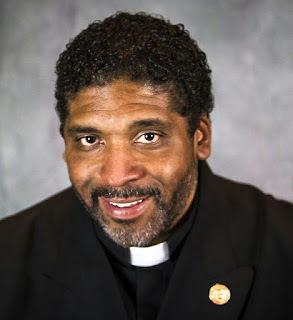 Dr. Barber, who officially stepped down in October after 12 years as president of the NCNAACP, will be part of a two-day conference attended by social justice advocates from countries like Canada, Senegal, Italy, Ireland, Tunisia, Ghana, Brazil, and the United States, among others. It’s no doubt that Dr. Barber’s involvement in the fiftieth anniversary of Dr. Martin Luther King’s 1968 Poor’s People’s Campaign caught the attention of not only national, but international social justice leadership, like Pope Francis, who is world reknowned for his personal and official advocacy for the poor. Just last Sunday in St. Peter’s Basilica in Vatican City, Pope Francis, the leader of the Catholic Church, celebrated a special mass for poor people on the first World Day of the Poor, eating with 1500 from Italy, Poland and France. "It is when we turn away from a brother or sister in need, when we change channels as soon as a disturbing question comes up, when we grow indignant at evil but do nothing about it," Pope Francis said. "God will not ask us if we felt righteous indignation, but whether we did some good." Dr. Barber’s organization, Repairers of the Breach, “…seeks to build a moral agenda rooted in the framework that uplift’s our deepest moral and constitutional values to redeem the heart and soul of our country,” it says on it’s website. The lead attorney for the plaintiffs in the Covington V. State of North Carolina has announced that she will run for the NC Supreme Court in 2018. Earls is already known as one of the most dynamic civil rights attorneys in North Carolina, if not the nation. She has consistently worked with the NCNAACP and other social justice groups, challenging the Republican-led NC legislature’s voter suppression laws, and unconstitutional voting districts, as later determined by the federal courts. North Carolina’s civil rights community was one hundred percent behind Earls’ announcement. The current NCNAACP president, Rev. Dr. T. Anthony Spearman, concurred. I don't know of anyone more committed to bending the arc of the universe toward justice than Attorney Anita Earls.” Rev. Spearman said. “Whenever I have been in her presence to hear her offer legal opinions, insights or otherwise, the contributions of Attorney Earls have been like a plumline - ethically balanced and judiciously centered. One of the NAACP attorneys who has been in the trenches with Attorney Earls over the years has had a front row seat to witness her legal prowess, and deep commitment to justice. “Her ascension to the Supreme Court will be a loss for the many citizens who encounter Civil Rights and Constitutional law issues, but her expertise is needed on our State's court,” Prof. Joyner added. 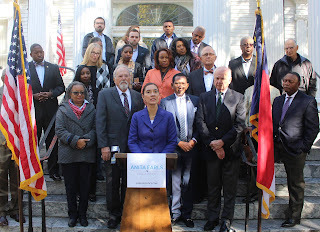 On the day of her announcement, attorney Earls had already garnered the endorsements State senators Angela Bryant and Floyd McKissick, Jr., Congressman and former Associate NC Supreme Court Justice G. K. Butterfield, Linda Wilkins-Daniels, chair of the African-American Caucus of the NC Democratic Party, and former NC Gov. Jim Hunt. Earls has served on the North Carolina Board of Elections, She’s taught at Duke University, UNC – Chapel Hill, and the University of Maryland. If Earls were to win a seat on the state’s highest court, she could conceivably join incumbent associate justices Cheri Beasley and Mike Morgan, making for three African-Americans on the NC Supreme Court at one time. The Republican-led state Senate is leaning towards changing the rules governing judicial elections in 2018, having Supreme Court justices serving only two-year terms, instead of the customary eight. That means everyone on the court now would have to run for re-election in 2018. Just over three months from now, the North Carolina NAACP, this time led by it’s new president, Rev. Dr. T. Anthony Spearman, will hold it’s next Historic Thousands on Jones Street Moral March and People’s Assembly on Saturday, February 10th, 2018 in downtown Raleigh. According to the civil rights organization, “HK on J,” as it’s more commonly known, is made up of a coalition of “…more than 125 North Carolina NAACP branches, youth councils and college chapters from across the state, and members of over 200 other social justice organizations. In previous years, upwards of over 100,000 participants marched across downtown Raleigh to rally in front of the state Capitol on the Fayetteville Street Mall. Spearman added that the NCNAACP will go on a statewide tour of local NAACP branches over the next several weeks to promote the HK on J People’s Assembly, and mobilize participants. Consequently, such a tour will also give Rev. Spearman the opportunity to introduce himself as the new state conference president. 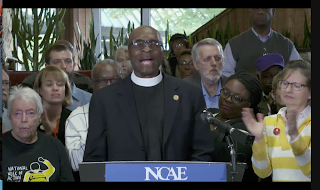 “There is no better time to accelerate our resistance, than it is right now!” the NCNAACP leader told reporters, while surrounded by branch and conference members. “It is time to resist, insist and persist,” Spearman continued, adding that a lot of time over the next couple of months will be confronting the “recent attacks [by the Republican-led NC General Assembly] on the independent judiciary, which more broadly speaking is another frontal attack on we, the people,” Rev. Spearman declared. “We must hold them in contempt,” Rev. Spearman continued, rhetorically asking if GOP lawmakers continue legislating against the will of the people, and succeed in co-opting the courts, citizens will have nowhere to turn for legal relief. “We must rise up and resist,” the NCNAACP president demanded, reminding all that no less than the US Supreme Court declared that the 2011 redistricting maps instituted by the Republican-led legislature were unconstitutional, and yet were used at lest six times for legislative elections since. “They have no business legislating on our behalf,” Spearman declared, to applause. He said the only way to stop them was to make sure that citizens got out on Election Day 2018 and vote. 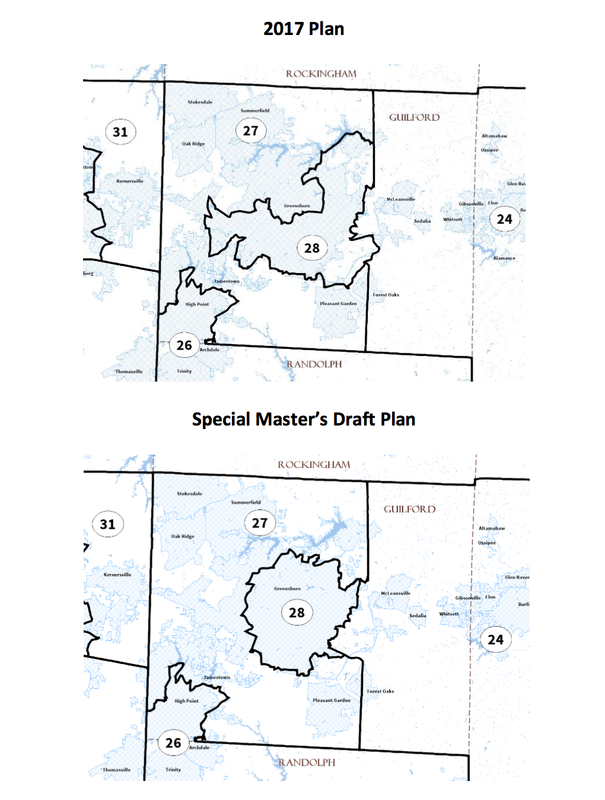 The special master appointed by a federal three-judge panel several weeks ago to redraw redrawn legislative maps submitted by the Republican-led NC General Assembly in August, has finished a first draft of his maps, and is now asking both plaintiffs and defendants in the Covington v. State of North Carolina case to review them, and offer their observations or criticisms now, prior to the court’s Dec. 1st deadline for completion. The federal court rejected the previous maps because it has “serious concerns” about at least nine voting districts were still legally problematic. The court appointed Stanford University Law Professor Nathaniel Persily to first review the redrawn maps, and if he concurred with the problems, redraw them to remove any racial gerrymandering or other unconstitutional features. 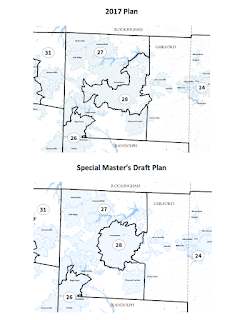 On Nov. 13th, Persily issued his preliminary maps for both House and Senate Districts. Of particular concern to African-Americans on the state Senate side was the manner in which the GOP has redrawn Senate District 28 in Guilford County, currently represented by state Sen. Gladys Robinson (D-Guilford). In September, Sen. Robinson expressed frustration that her district was unnecessarily drawn as a majority-minority district. At press time, neither plaintiffs attorneys nor Sen. Robinson had a reaction to the Special Master’s redrawing of the district to relieve the “stacking and packing” of black voters there, so they wouldn’t influence electoral races in surrounding voting districts. In order for Persily to meet his court mandated deadline of Dec. 1st, he has ordered both plaintiffs and defendants in the case, “…to submit to the Special Master proposed objections and revisions to the Special Master’s Draft Plan by November 17, 2017.